All winter I have been having an issue with the Ural whenever it was raining or snowing. Not snow on the road but actually while it was falling and the engine was running. Moisture would get ingested into the air cleaner intake and the water would clog the air cleaner causing the engine to run really rich. By really rich I mean won't idle, has a really rich smell in the exhaust especially after shutting down the engine. This was one possible solution suggested by others on SovietSteeds, a Ural forum. FrogzSkin is a fine mesh that is designed to keep snow and water out of the intake on snow machines and four wheelers. The Ural seemed like a natural fit and if this works, then I won't need to go through the trouble of making a new air cleaner housing. 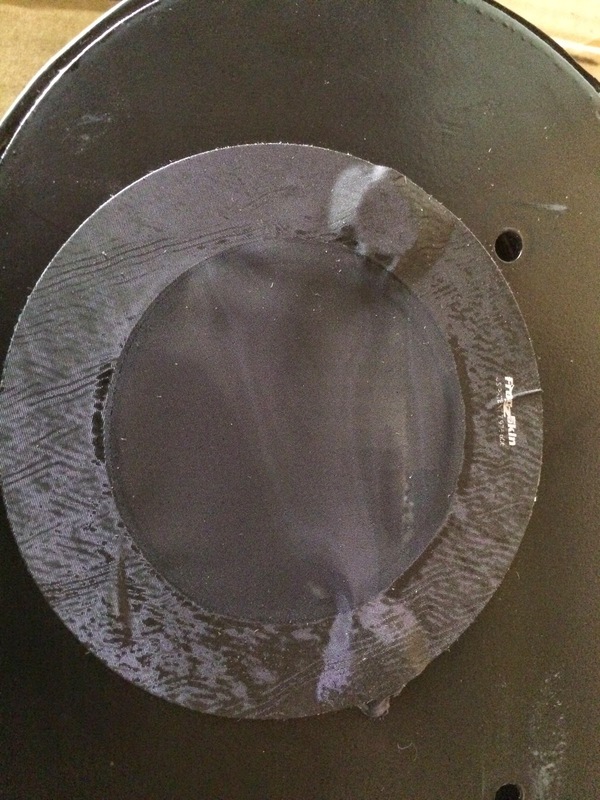 The first step is to thoroughly clean the air cleaner housing where the FrogzSkin will be attached. I used the solvent tank to remove the oil, grease and grime then rubbing alcohol on the surface where the FrogzSkin attaches. It hasn't been this clean in a long time. 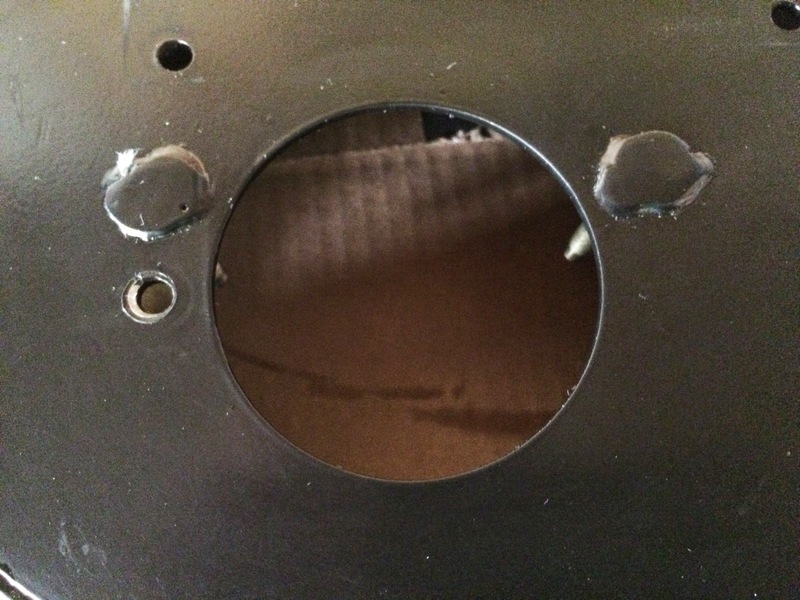 The mounting area isn't a perfectly smooth surface as there are two welds where the air cleaner element top bolts on but I think it is good enough. I wasn't looking to keep out fine dust or other small particles just snow flakes and droplets of water. I installed this fine mesh screen on the bottom of the air cleaner housing. There is a baffle that covers most of the screen surface though I'm not really sure what Ural was thinking it would keep out. It does protect the mesh. 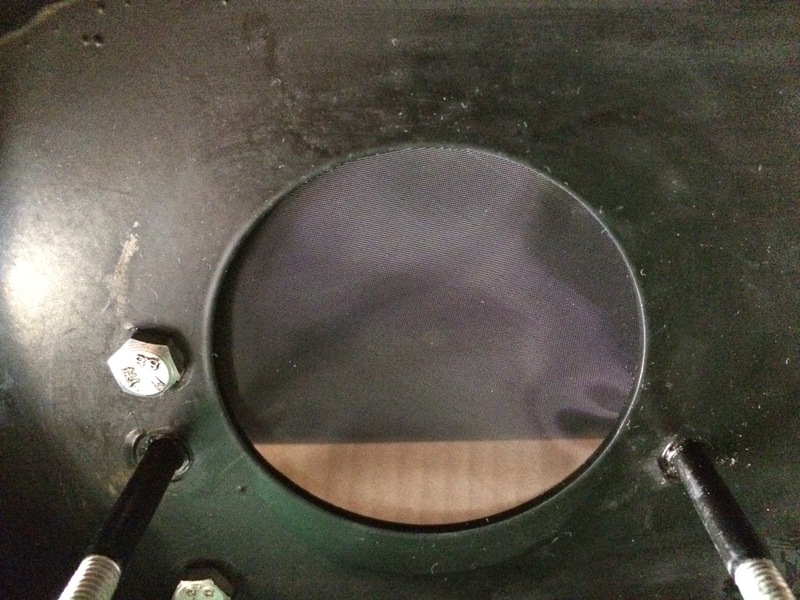 This is the view from the inside of the housing after the baffle was reinstalled. The mesh is about ⅛" larger than the air cleaner opening but being a fine mesh, I suspect that it may inhibit the air flow of air into the air cleaner housing. This could richenen the air mixture. Since I had changed the main jet from 130 to the original 122, the CHT has risen about 50°F indicating leaner burning. This mod may richen the mixture just enough to bring the CHT down a little. I'll see tomorrow. 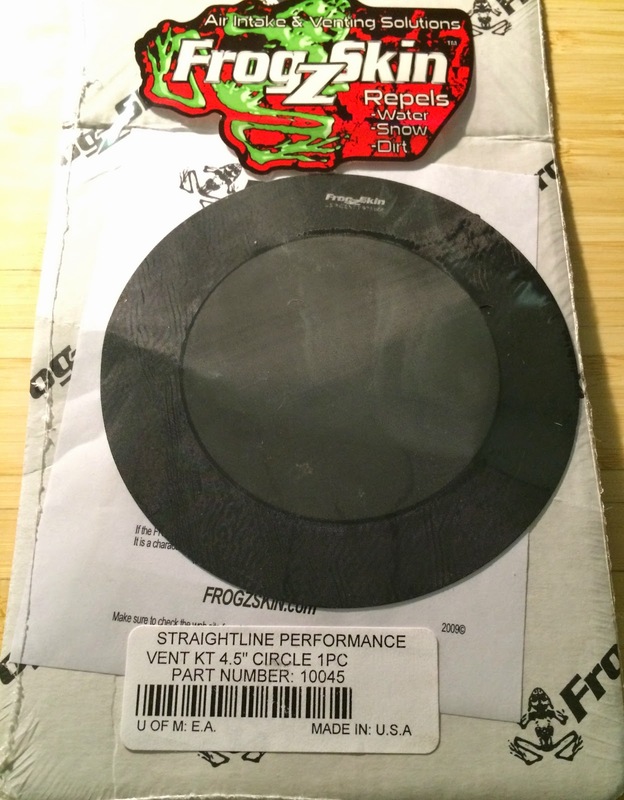 The instructions of the FrogzSkin says to let the adhesive cure overnight. Just to add some riding content, here is a short double speed video showing our wonderful Spring weather. "Spring weather" indeed: What a difference a mere week made... Without that blanket of white (or at least a bit of slush on the GoPro), your riding landscape is hardly recognizable. It was 55°F on Saturday which took care of most of the remaining snow. There's still a good chance for more snow but it probably won't stick. Just wait until it "greens up". A 24 hour period when it goes from grey to green when all of the leaves come out. I hope that the frog skin works out for you. You probably haven't seen the last snow, so it will be set to action sooner or later. The weather guessers are predicting 70% chance of rain or snow today so it won't be too long of a wait. I don't have much to complain about my commute. If I leave around 7:30, I run into a lot of the high school traffic as they start around 7:50. I am most curious to see if the frog skin works for you as well. I toyed with the idea of using it on my 2011 but never pulled the trigger. I almost didn't try it as I couldn't find it on Amazon with free shipping (cheapskate). I figured that the air cleaner was the "sure thing" but it was just too difficult to get the correct parts. And all of them were insisting that the only way to get anything to Alaska was UPS two-day. Alaska must not be part of the USA to those vendors. I bet you don't mind the temperature at all. How many more commutes are you down to? Roughly 20 more assuming I don't take any leave time. I believe that I have about 15 days of annual leave. I hope the FrogzSkin does the trick. Great video! I hope so too. I pulled the air cleaner off yesterday evening to make sure that the adhesive held and the mesh didn't get sucked into the air cleaner. All was fine.